Four years after the launch of Operation Elveden, the number of public officials convicted of misconduct in public office stands at 26. A further seven out of the original 80 who were arrested are still awaiting trial, while four have been acquitted. Their sentences range from between 13 weeks to two years, and total more than 20 years. In contrast, the number of journalists convicted as a result of the operation stands at two. Former Mirror and News of the World journalist Dan Evans pleaded guilty to conspiracy to commit misconduct in public office. And Sun reporter Anthony France was found guilty of aiding and abetting misconduct in public office after his police source was paid more than £22,000 for stories. Both were spared jail sentences. 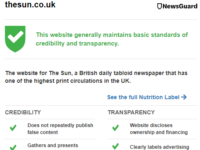 Operation Elveden was launched in the summer of 2011 as a result of disclosures made by News International (now News UK) about payments made by Sun journalists to public officials. Nearly all of those who have been jailed were prosecuted as a result of information provided by News Corp's Management and Standards Committee to the Met Police. The vast majority of those convicted were either police or prison officers. Casburn called up the News of the World newsdesk in 2010 with information about Met Police investigations into phone-hacking, concerned about the resources being used. Casburn (pictured below) claimed she did not ask for money – and was not paid – but a reporter on the newspaper wrote a note that she "wanted to sell inside information". The former Surrey Police PC was paid £1,250 for details about the arrests of Sue Terry and Sue Poole – the mother and mother-in-law of footballer John Terry – and Rolling Stones guitarist Ronnie Wood to The Sun in 2009. He admitted the offences, the BBC reported. Described as a police officer who "developed an eye for celebrity stories", Flattley passed on information held by the Met on 39 occasions – resulting in 19 stories – to The Sun, reports The Independent. 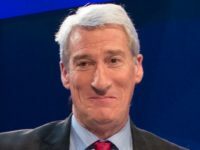 He pleaded guilty to misconduct in a public office between 2008 and 2011, over payments totalling £8,000, and was jointly charged with The Sun's former defence correspondent Virginia Wheeler. Proceedings were dropped against Wheeler for medical reasons in June 2013. Trunkfield, a Woodhill prison worker, pleaded guilty to misconduct in a public office between 2 March and 30 April 2010, according to the BBC. He sold details about one of James Bulger's killers, Jon Venables, to The Sun. According to the BBC, the Old Bailey was told Trunkfield was struggling with debt at the time of the offence. The Sussex Police sergeant contacted The Sun and News of the World on three occasions to sell stories, according to the BBC. He was paid £500 for a story sold to Sun reporter Vince Soodin about a fox attack in June 2010. Bowes admitted the offence. Charges against Soodin were dropped when he was set for a retrial. Bell, a pharmacy assistant from Sandhurst, admitted to selling five stories to The Sun for £1,250 between 2005 and 2006. The Broadmoor employee pleaded guilty to releasing information of a patient who wanted gender realignment surgery from the NHS while in custody. The story alleged that the patient had changed from a woman to a man and wanted the surgery reversed. He provided information to The Sun and Daily Mirror between June and July 2008, according to the CPS. Part of the Met's Counter Terrorism Command, Edwards was paid more than £22,000 by The Sun for 38 stories. He was jailed for two years – rather than three – because he pleaded guilty. Reporter Anthony France was found guilty earlier this year, but was spared a jail term. The former Met Police detective constable pleaded guilty to misconduct in a public office between 2006 and 2010. According to the Met, he acted as a "paid for informant" for The Sun after establishing "close links" with journalists on a football team he played for. According to the website Crime & Justice, the former Wiltshire Police officer was found guilty of passing on information to The Sun about a colleague facing criminal proceedings in 2010. The trial heard that he asked the newspaper for £10,000, but there was no evidence of a payment being made. According to the BBC, Ridgeway sold two stories to The Sun through his mother, Sandra Ridgeway. The first story, about the attempted suicide of an actor, resulted in a £1,600 payment, split between the pair. The second, which earned £1,000, was about the alleged sexual activity of off-duty police officers. 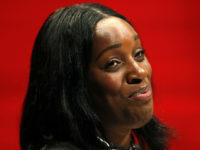 The former Met Police community support officer admitted to being paid £150 after he informed The Sun that model Naomi Campbell had attended a police station in Westminster in 2006. A prison officer was charged with being paid £1,750 for information by The Sun. The Ministry of Defence press officer was paid £100,000 for stories sold to The Sun. The "number one military contact" of chief reporter John Kay, she admitted conspiring to commit misconduct in a public office between January 2004 and January 2012. According to the BBC, Prison officer Hobbs admitted to selling information to The Sun for £750 about James Bulger killer Jon Venables. The information did not result in a story. Hall, an HMRC press officer, made £17,475 from selling stories – including details of the 2010 Budget – to The Sun's Whitehall editor Clodagh Hartley. The BBC reports that Quinn, who resigned from Surrey Police in 2011, was paid at least £7,000 for stories by The Sun over a ten-year period. Quinn pleaded guilty in October last year to misconduct – including leaking details of the investigation into the disappearance of Milly Dowler – between 2000 and 2011. Kenneth Hall's wife (see below) pleaded guilty to aiding and abetting the offence by allowing money she knew her husband was getting by selling stories to go into her account although the mother-of-three did not sell any stories or disclose any confidential information herself. The former Pentonville prison employee admitted being paid £1,650 for stories – including one about singer George Michael – by The Sun and Daily Mirror, according to the BBC. The former Met Police call handler admitted, reported the BBC, to being paid £700 for details of a confidential briefing note about potential terrorist attacks. 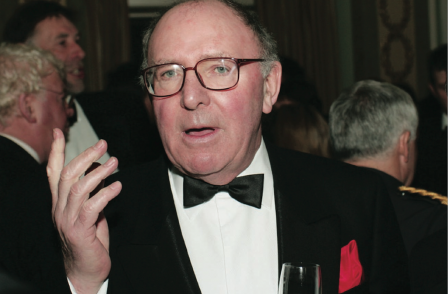 Norman, a union rep at Belmarsh prison, was paid £10,000 for 40 story tips to reporter Stephen Moyes between 2006 and 2011, when he worked on the News of the World and Daily Mirror. Charges against Moyes were dropped by the CPS, but Norman was found guilty last month. 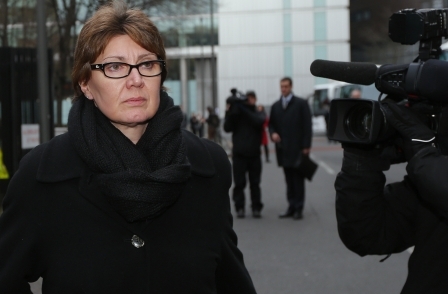 Broadmoor nurse Hall admitted selling stories to the News of the World and Mirror newspapers between 2002 and 2004. He also admtited to forging documents to beef up his stories. According to the Met Police, Hagan was an employee at Ashworth Hospital, a high security facility, who sold information about a patient to the News of the World in January 2008. Hagan was paid £1,000 by the newspaper. Hagan was accused of conspiring with News of the World crime reporter Lucy Panton. The Met said Hagan took a covert camera into the hospital and was "in negotiations with the newspaper regarding a £50k payment for the images". The former colour sergeant was allegedly paid more than £23,700 for providing The Sun's Duncan Larcombe with information – including about Princes William and Harry – on 34 occasions. John Hardy's wife was accused of collecting tip-off fees for her husband. Bukarewicz was accused of conspiracy to commit misconduct in a public office by allowing her boyfriend, HMRC press office Jonathan Hall (above), to use her bank account for payments from Clodagh Hartley at The Sun. Gaffney was accused of allowing her partner, Scott Chapman, to use her bank account to receive payments from tabloid newspapers. Seven other individuals have been charged and are awaiting trial.